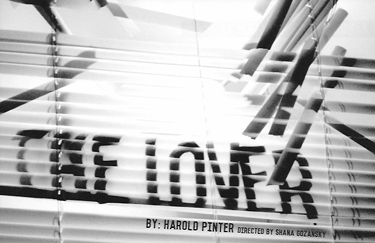 Bridge Repertory Theatre Debuts With Pinter's "The Lover"
Debuts With Pinter's "The Lover"
Boston's newest theater company, Bridge Repertory Theater, has chosen Harold Pinter’s "The Lover" as its debut offering. Directed by Shana Gozansky, the production will play the Stanford Calderwood Pavilion at the Boston Center for the Arts from February 28 - March 17. One of Pinter’s less produced plays, "The Lover" is a psychosexual dark comedy performed in a single act. The action concerns a young couple on the brink of crisis as their elaborate sexual fantasy begins to cannibalize their marital reality. The cast features three of Bridge Rep’s founders: Five time IRNE nominee McCaela Donovan, Brown University/Trinity Rep MFA graduate Joe Short, and Equity Membership Candidate Juan C. Rodriguez. Their combined performance credits include Huntington Theatre, Commonwealth Shakespeare Company, SpeakEasy Stage, Shakespeare Theatre/DC, Public Theatre/NYSF, and Trinity Rep, among others. For tickets, call 617 933 8600 or visit www.BostonTheatreScene.com.